The Enthusiasts pack a punch of raw punk energy while embodying the soul of classic rock. While one may classify them as a 'garage rock' band, The Enthusiasts offer so much more substance. This New York trio seems to be the culmination of rock (...and roll) from the 50's through the 70's, right up to present day. This classic psych and blues sound is a welcome listen to my ears, giving a well needed rest from all of the heavy doom and sludge in recent memory. The Enthusiasts are one you will have to catch at a club or house show. Check out my favorite tune, Joanne, below, and if you're diggin' it head over to their bandcamp for a free download! I love One-Eyed King's self sound description, Thought-provoking-stoner-groove-bar-fight-music. 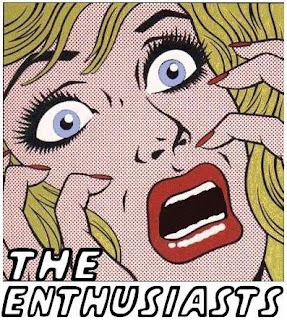 They most certainly win the 2011-2012 Best New Genre award! 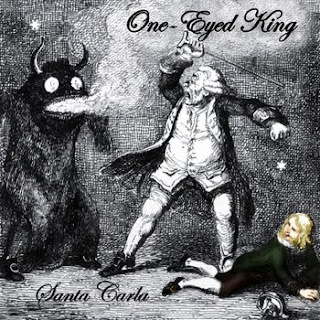 All joking aside, One-Eyed King know how to bring the heavy, with a fistful of grooves and intuitive lyrics. The music is bass and guitar driven, dark, yet somehow cheerful, creating the ideal atmosphere to hear their message. I know comparisons get hokey, but I hear a Clutch-vibe from One-Eyed King. Its the cohesive instrumental intensity that Danny, Gaetano, and Pat perform while Geoff blitz our ear-drums with his powerful bark. This entire album is solid and unquestionably worth a listen, or two. I'll leave you with my favorite jam, Box of Tsunamis! I'll be sure to check these bands out, thank you very much.